False allegations made of me and the original poster of the statistics. 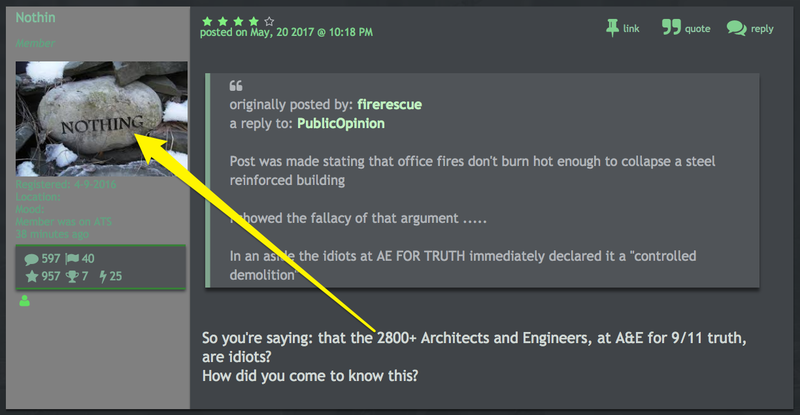 Dude, it was your talking point, you brought up the same tired '2800 architects and engineers can't be wrong meme'. You don't think that's been played out 1000 times previous to you bringing it up? Like really dude, if you dispute the evidence, it's your turn to provide your own evidence. 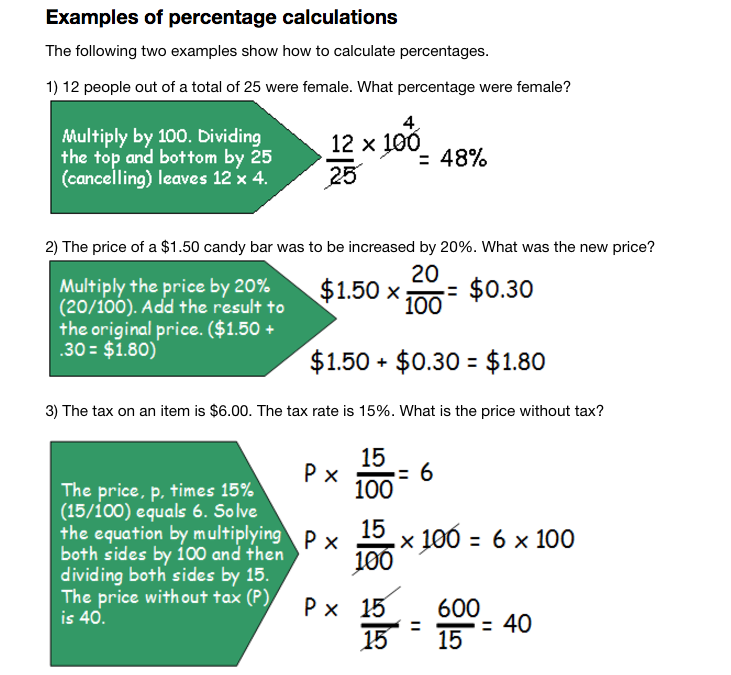 Please stop posting false numbers, and misleading erroneous calculations. As far as the claims of the "misleading erroneous calculations", wth are you talking about? 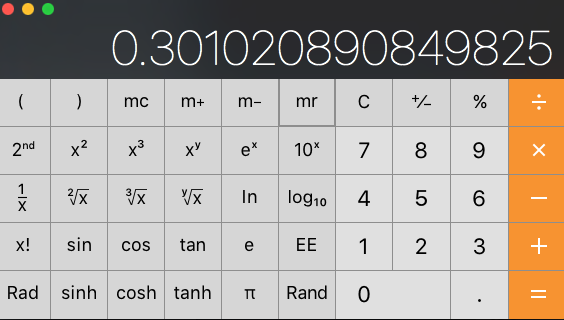 Like seriously, you can't take those three numbers and calculate a percentage from that? haha, I even double checked the math to make sure I didn't miss an error, the answer is still 0.3% just like the initial posters claim. Too each their own I guess, but debate is debate, if you have an issue with the data or the math, it's up to you to prove it wrong, and you cannot do that. And thats why I participate in 911 threads, to stop BS like you are trying to sell. It is the motto of ATS to Deny Ignorance, and thats what I do. Why do you just keep coming back with the same disingenuous and dishonest comments? Dude... Quit getting all bent out of shape and deal with the issue at hand, would that be too much to ask? Here's the claim, now it's up to you to prove it wrong. 110,168 Number of registered architects in the United States in 2015. 820,000+ Number of civil engineers in the United States. Could you please post a link to the BS you accuse me of trying to sell? Your numbers are grossly wrong, very misleading, and a total distraction. My posts have went sideways? whats up with that? What don't you get? The overwhelming majority of scientific published and peer reviewed material concerning the WTC supports the NIST reports. The overwhelming majority of individuals in technical disciplines supports the NIST conclusions. Please list peer reviewed papers that do not support the NIST conclusions? Link to them? What happen to the NIST employee that you were hanging arguments on? Can you cite one section of one NIST report the individual found fault with and why? I thought you were all about proof? I really have no idea what that poster was trying to prove, if they had an issue with the stats or the math alls they had to do was prove it was inaccurate. Instead I'm told I'm pushing a narrative and that my dishonesty is sickening? You'd think with such slanderous claims as that, the poster would want to man up and provide some evidence of their accusation being true, but nope. Nothing. It's interesting from a psychological perspective to interact with people like that, to watch how they will respond to a request for evidence. In this case the evidence and the math are very easy to obtain, it's amazing what some will to do avoid admitting that they are on the wrong side of the fence, that logic and reason are not behind them. It's one of the reasons I participate in the 911 forums, a study in abnormal human psychology, I find it fascinating. Nice to see that you guys have made buddies here. It is interesting to note that you think you are observing "abnormal psychology" here. What are your qualifications to make such an outlandish commentary? Do you believe that insulting people, is a good fishing technique, to draw them into your narrative? Just can't dispute these numbers and you must turn to deflection? I'm working on that, I'm not accredited yet but I am taking courses, I find it fascinating. Ever going to argue the proof of thermite? A "scholar" says the bow was due to the core columns being cut. He points to the movement of the north tower antenna which some originally thought moved first. But this was not the case.. The "scholar" is starting from a false premise and building a case around it. Something the "scholar" suggests the NIST did. Putting this irony aside, the real evidence that the core did not move over time is the fact that the other faces showed no signs of the core moving until the collapse. Don't know what to tell you. A cut and falling core would have pulled in every wall of the tower all at once above the created gap in the core. Not just on an isolated sections a couple of floors tall on the perimeter. There is no evidence the top floors of the tower were being pulled and collapsing inward in your claims of a sinking antenna to indicate a falling core. The whole section above the small and isolated area of inward bowing and buckling fell as a unit pulling the antenna down with it. There is no evidence the core fell first, then pulled on the vertical columns. Other than misinterpreting one camera angle, and ignoring othe captured video from other angles. You started with this long litany of innuendo ? Now the proof of nanothermite is down to the misinterpretation of the video of the WTC antenna. The antenna shown to be tilling in various camera angles, not sinking into the tower? Going to answer any questions directed at you? Or just completely ignored honest and open debate? Typical conspiracists, post a sight gag instead of engaging in debate? I still think you are a fizzle no flash bomb kinda person? Why are you jumping to conclusions, and directing another insult at conspiracists in general? Trying to peg me into a definition of your own making? That. Right there. You are able to state here, that you think something about me, that you believe something about me, of which you have absolutely no inkling of any indication why that leap of faith is possible. None whatsoever. So what can we learn from a comment like you just made? You are a very poor fisherman, resorting to attempted ego-hits on your targets. You are able to make leap-of-faith assumptions, with no facts nor information to back them up, and then be so arrogant and bold as to attempt to state them here, as if there was the least bit veracity to them. This is beyond clear to anyone objectively reading, or studying, this thread, and seriously leaves no doubts as to your motivations.